Under the international law, the diplomatic passport holders are granted all immunity and privilege guaranteed under diplomatic status, making it easier for them to carry out their duties without restrictions. 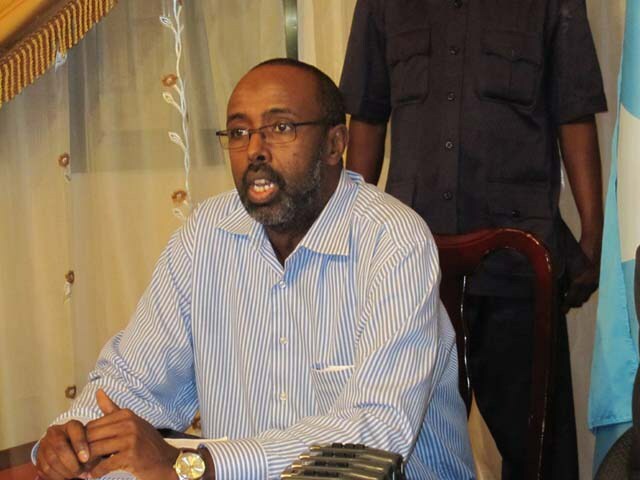 NAIROBI – Somalia has recently appointed a new ambassador to the United Nations, however, questions are being raised over the likelihood of him having special privileges and diplomatic immunities usually granted to foreign diplomatic and consular representatives as he uses non-diplomatic passport to run a diplomatic mission, officials say. Appointed last month, Mr. Abukar Dahir Osman, Somali-American, who will lead Somalia’s Permanent Mission to the United Nations is currently operating without a diplomatic passport, a scenario which may deprive him his legal diplomatic immunity thus making him susceptible to lawsuit or prosecution under the host country’s laws, unlike other diplomats. Unlike the diplomatic passport holders, regular passport holders are not entitled to diplomatic immunity provided by the host nation, which indicates that the bearer is travelling for private purpose. According to several diplomats who spoke to Alleastafrica on condition of anonymity in Nairobi, the use of an ordinary American passport for the country’s diplomatic mission by Mr. Osman has sparked debates across the government’s inner circle, with officials expressed worries that the latter would waive him of his right to diplomatic immunity and that could also give access law enforcement to sensitive documents that the ambassador may be travelling with. Under the international law in the 1961’s Vienna Convention on Diplomatic Relations, diplomats are extended sovereign status and must not be subjected to airport checks or annoying custom checks, a prestige enjoyed by diplomatic passport holders alone. No comment could be reached from Mr. Osman on the matter. Somali foreign ministry officials haven’t also returned to emails seeking comment. Meanwhile, Mr. Osman, a close ally of Somali president has been the state house’s chief of staff until recently before he was appointed Somalia’s ambassador to the United Nations. His appointment comes following a diplomatic reshuffle by Somalia which sent ambassadors to several countries that in turn sent their respective ambassadors to Somalia. In recent years, Somalia which is recovering from decades of war has been trying to make a diplomatic come back across the world and already restored normal diplomatic relations with numerous countries. Many countries including the US that severed diplomatic relations with Somalia after a civil war broke out in 1991 that saw warlords fighting for the control of the country have resumed their diplomatic ties with the horn of Africa nation. The new diplomatic exercise comes following the ouster of Islamist insurgents from the capital and surrounding regions since 2011, a development which allowed partner countries to start a diplomatic presence in the seaside capital, Mogadishu.